A 30-year-old, high-end flooring company elevates everyday environments with their expert guidance and exclusive, curated product lines. Bob's Floor Covering is an unassuming business in a small, unassuming town in Southern Wisconsin. 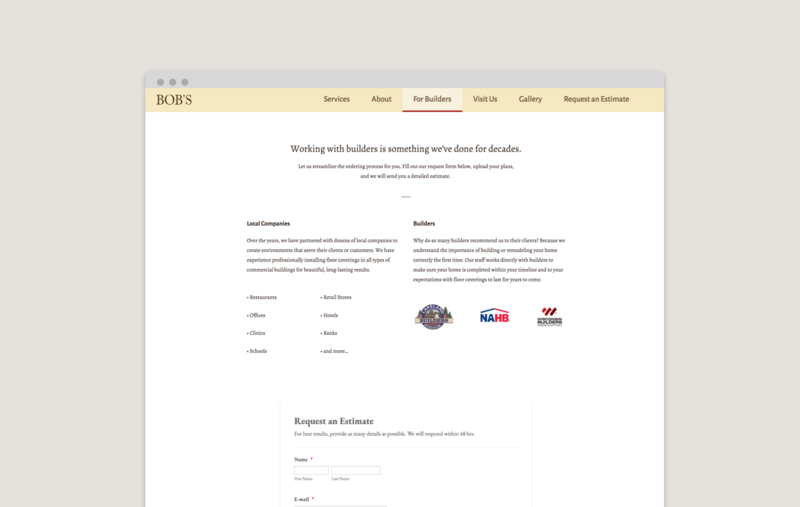 But, like many companies, there's much more to Bob's than meets the eye. 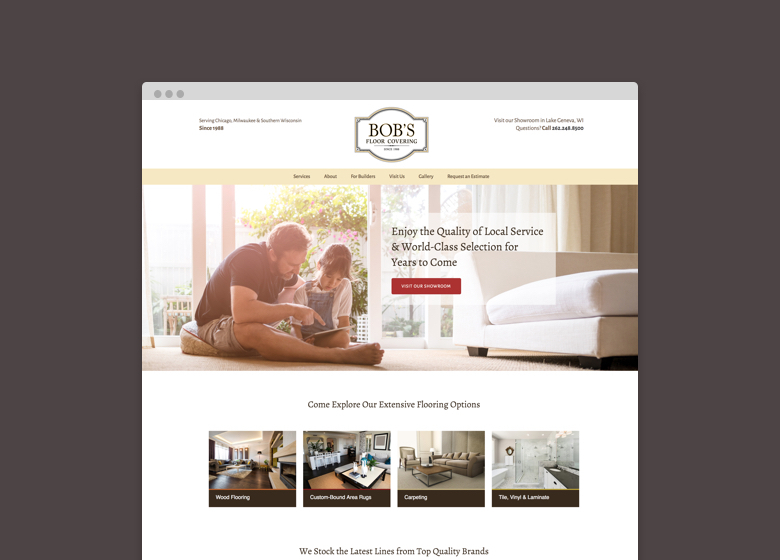 Through the process of modernizing their website, we learned that when the real estate market tanked in '08, Bob Jr. saw the opportunity to grow as a high-end flooring company, adding exclusive lines to his already extensive collection. This move set him apart from his competitors, not only as having the largest showroom in the area, but also as a name affiliated with good taste and high quality for the wealthy homeowners throughout the Chicago and Milwaukee area. 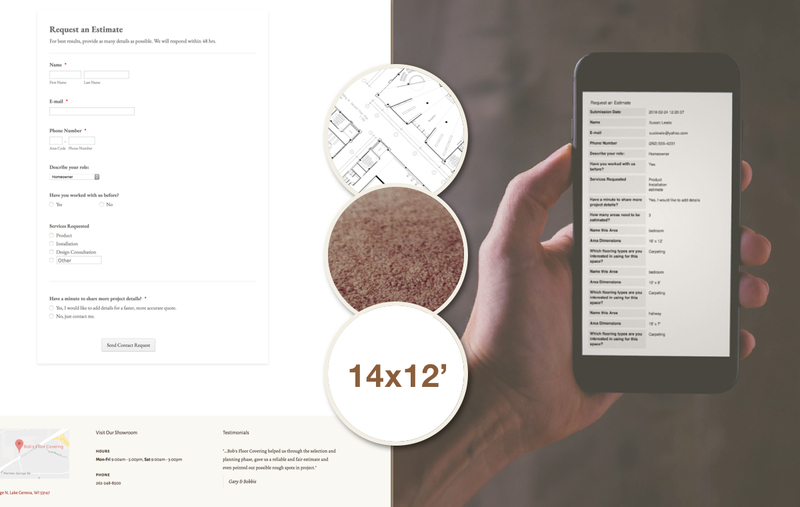 We used the website redesign process to more clearly position their company, constructing sections of content intended to draw in ideal customers and partners. We also enabled their non-technical staff to manage content and estimate requests seamlessly and without fear of losing content or being vulnerable to security breaches. Their online presence finally reflected their company's broad and deep expertise, and their respected relationships with local builders. 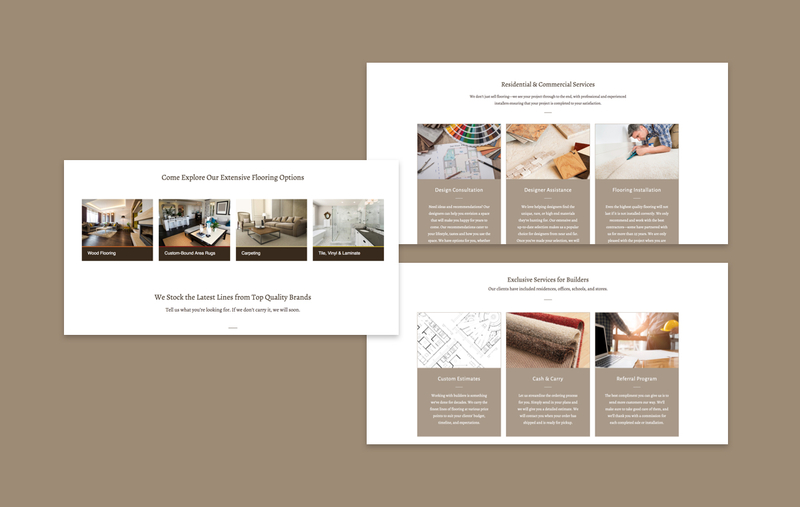 Untouched for eight years, their website didn't just need a visual upgrade, it needed to become a better business tool. We rebuilt the site from nothing, rewriting entirely new content with SEO in mind, hiring a photographer to show off the top brands in their vast showroom, and creating a faster, easier way to provide customers with custom estimates. The day we launched the website, the first quote request arrived in their queue. The owner and office assistant were both instantly notified via email, and able to see their prospect's floor plans, measurements and request in one organized list. Before, this would have required multiple back-and-forth phone calls. Now, it was as easy as checking their email.